Few periods in human history can boast of the existence of one of those rare intellectual giants whose genius not only embraces the knowledge of his own times but reaches out to the uncharted and unknown frontiers. One such genius was al-Biruni, born a thousand years ago, who ranks among the greatest scholars of the Islamic world. Al-Biruni's contribution to human learning was unique. He was an astronomer, geometrician, historian, botanist, pharmacologist, geologist, poet, philosopher, logician, mathematician, geographer, and a humanist. He had a scientific spirit in the full sense of the term and displayed remarkable understanding and respect for other cultures that was incredible for his time. Al-Biruni's full name was Abu Rihan Muhammad bin Ahmad al-Biruni al-Khwarizmi. He was born about on 4 September, in the year 973 CE in Kath, the capital of Khwarizm, situated on the right bank of the Amu-Darya river north-east of the modern town of Khiva. Khwarizm, where al-Biruni was born and grew up, is a region now shared by three Central Asian countries, namely Uzbekistan, Kazakhstan and Turkmenistan. This region had long been famed for its advanced culture. Its cities had magnificent palaces, mosques and madrasas, and in this prosperous, ancient state the sciences were esteemed and highly developed. 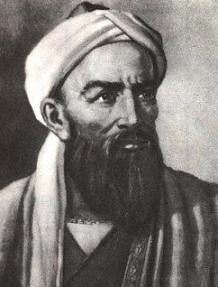 Al-Mansur introduced al-Biruni to Euclidean geometry and Ptolemaean astronomy, which equipped the young scholar to study astronomy. Later, in his early youth, al-Biruni came in contact with an educated Greek who was to become his first teacher. At his Greek teacher’s request, the young al-Biruni collected plants, seeds and fruit and this kindled his interest in the natural sciences. The pace of scientific quest and learning of al-Biruni was shattered when the armed forces of Mahmud of Ghazni overran Khwarizm, in 1017. While returning, Mahmud took away with him thousands of Khwarizmi prisoners, including al-Biruni. The decade that followed was to be the most difficult period in al-Biruni's life, but at the same time it also proved to be the most productive period. Al-Biruni continued his studies independently and during this period he collected materials for a treatise on mathematics. He also sought to comprehend the influence of the moon on the tides, and conceived his major work on India, which represents the zenith of his scientific thinking. "I have translated into Arabic two Indian works, one discusses the origin and quality of things which exist, and is entitled Sankhya, the other is known under the title of Patanjali, which treats of the deliverance of the soul from the trammels of the body. These two works contain the chief principles of the Indian Creed." After being brought to Ghazni in 1017 CE, al-Biruni accompanied Mahmud of Ghazni in several of his subsequent invasions of India. At different intervals, over the next ten years, up to the year 1027 when Mahmud of Ghazni invaded India for the seventeenth and the last time, al-Biruni stayed in India for several intervals, more or less voluntarily, and visited its various parts, walked on its soil, breathed its air, compared and marvelled. During this period he became totally absorbed in India, an association that lasted his entire lifetime. Al-Biruni was indeed a prolific writer and the total output of his works is stated to have exceeded a camel-load. His earliest biographer tells us that he was so studious, that "he never had a pen out of his hand, nor his eye ever off a book, and his thoughts were ever directed to his studies, with the exception of two days in the year." Despite the political upheavals which frequently interrupted his work, his sheer output was prodigious. AI-Biruni himself recorded 113 titles in the bibliography of his works that he prepared in 1036 when he was 63 years of age. He lived on for the next 14 years and is believed to have written at least 150 works (180 according to some authorities) by the time of his death at the age of 77 in about 1050 CE. However, only 27 of his works have come down to us. Whether the rest were destroyed or simply have not been found is not known. Al-Biruni is said to have composed as many as twenty books on India, both translations and original compositions. However, his most famous book - an encyclopaedic work on India – is Tehqiq ul-Hind or the Researches on India, also known as Kitab ul-Hind or Book of India, which he completed 1030 CE and which was to become a major source for studying 11th century India. There is, however, another lesser known work by al-Biruni. It is called Tarikh ul-Hind, or History of India. “It is said that the Rai of Kanauj offered to this prince, [i.e. Kanishka] among other presents, a piece of cloth of excellent texture, and of a new kind, of which Kanak [Kanishka] wished to make a dress. But the tailor refused to make up the garment, saying, "I see the figure of a human foot, and notwithstanding all my endeavours, still the foot will come between the shoulders." “Kanak understood that the Rai of Kanauj intended to insult him, and to evince the small estimation in which he held him, so Kanak departed quickly with his army towards Kanauj. At this news the Rai of Kanauj was greatly embarrassed, not finding himself in a position to contend with the king of Kabul. He consulted with his minister, who said, "You have roused a man who was peaceably disposed, and an untoward act has been committed. Now cut off my nose and lips, and mutilate me, that I may search out a way of practising some artifice, since there are no means of open resistance." “The Rai did as his minister advised, and allowed him to depart to the frontier. When the army of Kabul met the minister, he made himself known, and was conducted to the presence of Kanak, who demanded of him how he was reduced to that (pitiable) condition. He replied, "I endeavoured to dissuade the Rai from contending with you, and recommended him to make his submission, but, charging me with collusion, he mutilated me. If you march by the road which lies before you, you will find it long. You will more easily arrive at your destination by encountering the difficulties of the desert between him and us, provided you can carry with you a supply of water for a few days." Kanak said, "This is easy." So he took with him water, as recommended, and was guided on his way by the minister, who preceded him when he entered the boundless desert. When some days had elapsed, and the king knew not his way, he enquired of the minister, who replied, "No rebuke can attach to me for seeking to secure the safety of my master, and the destruction of his enemy. The nearest way to escape from the desert is that by which you entered it. Do to me as you wish, but none of you can escape alive from this desert." "…the prosperity of the country, and performed those wonderful exploits, by which the Hindus became like atoms of dust scattered in all directions, and like a tale of old in the mouth of the people." Through his works on India al-Biruni emerges as a promoter of mutual understanding, who, through his aptitude for inter-cultural perspecptive, was able to form a strong connecting link for fruitful cultural exchange between the East and the West. We will continue our story of this extraordinary Indophile in our next episode. Until then, Good bye and Jai Hind.